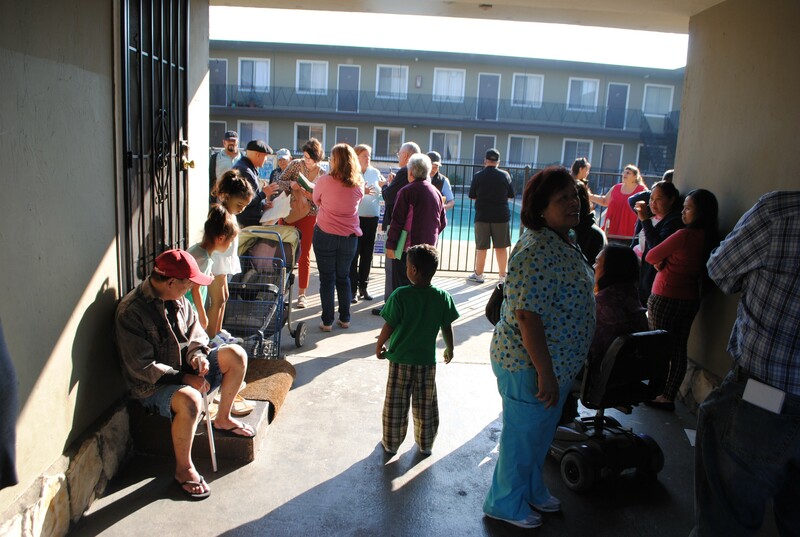 Tenants at Bay View Apartments in Alameda received eviction notices just days after the city council approved a moratorium on evictions. A loophole in Alameda’s recently passed 65-day moratorium on rent hikes and evictions was quickly exploited by at least one landlord to evict 33 families from their apartments. As a result, the Alameda City Council may close the loophole at its next meeting, City Hall sources said Wednesday. The council is set to schedule an agenda item for the December 1 meeting to propose removing the provision in the ordinance passed two weeks ago that allows landlords to serve eviction notices for the purpose of making capital improvements to the property worth eight times the current rent. The agenda item will likely become public on Thursday. Just days after the urgency ordinance was approved, renters at the 33-unit Bay View Apartments at 470 Central Avenue on the island’s West End, received 60-day eviction notices. The building’s new owners, San Jose-based Sridhar Equities, Inc. used the capital improvements provision to justify evicting all of the tenants in the building. The city council may also attempt to nullify any eviction notices served during the moratorium using the just cause provision of the new law, said a source, although its legality is uncertain. Residents of the Bay View Apartments say they were greeted on November 6 with a letter from Sridhar Equities cheerfully introducing themselves as the new owners. The next day, 60-day eviction notices were posted on their doors. An amended notice was posted November 11, pushing the eviction date to mid January. Romel Laguardia, 48, has lived at Bay View Apartments for five years with wife and three children, two of whom attend Paden Elementary located next door. He said residents are fearful about their future. “Believe me, all of us that day were speechless,” Laguardia said, describing the day residents received eviction notices. During Tuesday night’s council meeting, a long line of children from the Bay View Apartments waited to address councilmembers over the issue. When the families returned to their apartments, they found another round of notices affixed to their doors notifying them of the owner’s intent to enter their units for the purpose of taking measurements for unspecified improvements.